1917, 2¢ carmine, D.L. 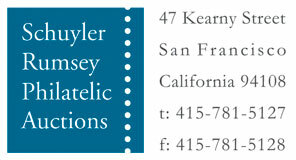 watermark, perf 11, full o.g., well centered for this difficult issue, rich color, Very Fine and choice. 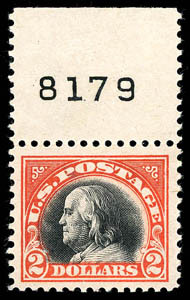 1918, $2 orange red & black, top plate no. 8179 single, well centered with wide margins, rich fresh colors, light natural gum bends, o.g., never hinged (lightly hinged in ungummed selvage), a fresh and Very Fine top plate single. 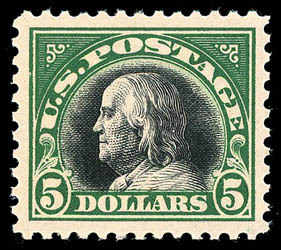 1918, $5 deep green & black, o.g., never hinged, rich deep colors on bright paper, choice centering and margins, Extremely Fine to Superb; with 2007 P.S.E. Graded certificate (XF-Sup 95, SMQ $1,000). 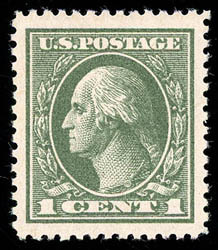 1919, 1¢ gray green, Offset, perf 12½, o.g., never hinged, exceptional centering within large oversized margins, rich color and very fresh, Extremely Fine to Superb, a lovely gem offset issue; with 2015 P.S.E. Graded certificate (XF-Sup 95, SMQ $450). 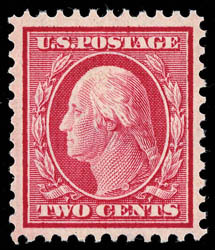 1920, $2 carmine & black, o.g., never hinged, beautifully centered amid large margins, rich deep colors and Post Office fresh, Extremely Fine to Superb, a choice never hinged gem; with 2003 P.F. & 2006 P.S.E. certificates, the latter Graded (XF-Sup 95, SMQ $800).